New Delhi Sep 14 (IANS) Around 22.5 crore e-way bills have been generated across India till September 13 since the new electronic billing system was introduced on April 1 the Goods and Services Tax Network (GSTN) said on Friday. The e-way bill system kicked off as part of the new GST regime for transporting goods worth more than Rs 50 000. "Between April 1 and September 13 a total of 22.48 crore e-way bills have been generated. Of these inter-state transport of goods accounted for 10.89 crore bills while intra-state transport contributed another 11.58 crore " the GSTN said in a statement. "The share of intra- and inter-state transport is gradually attaining parity and is expected to reach 50:50 ratio in coming months " it said. 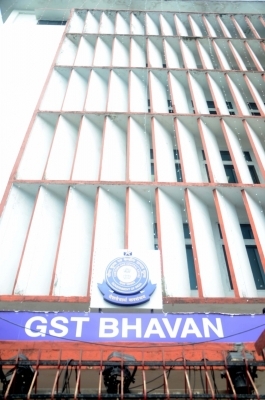 The GSTN added that over 24 lakh taxpayers and 30 000 transporters had registered with the e-way billing system so far. "While the average daily generation of bills was roughly 13 lakh in the early months of implementation now around 15.79 lakhs bills are being generated seamlessly every day " GSTN CEO Prakash Kumar was quoted as saying. At 3.13 crore Maharashtra generated the highest number of bills followed by Gujarat (2.45 crore) Haryana (2.05 crore) Karnataka (1.98 crore) and Uttar Pradesh (1.90 crore).